This post was written by Olivia, a student in the FLVS Creative Writing Club. As I near the end of my high school career, I can’t help but think about all of the wonderful memories and lifelong friends that I have made through FLVS. As a writer, I have been able to thrive in clubs like Creative Writing Club, News in a Click and NEHS. I have participated in Poetry Read-Ins, Shakespeare Festivals and Celebrate Literacy Month. I have also had the invaluable opportunity to collaborate with immensely talented writers and highlight student work through Open Mics. These experiences have greatly enriched my writing and provided inspiration that I will carry with me when I go to college. In my final [Creative Writing Club] blog post, I wanted to remind you of the power of plugging into our virtual community. By getting involved in FLVS clubs and activities, you are introduced to a world of inspiration. In our student-led newspaper, News in a Click, we spend weekly meetings collaborating and brainstorming articles. At National English Honor Society meetings, we host discussions about the power of literacy and highlight student pieces and book recommendations through monthly events. In Creative Writing Club, you have the wonderful opportunity to connect with other student writers and read student work, while receiving feedback and edits on your own pieces. Through FLVS, I have met some of the most talented writers that I have ever known, but more than that, friends that I will keep for life. Participating in clubs like these is a great way to combat writer’s block and get inspiration, feedback and encouragement from other students. 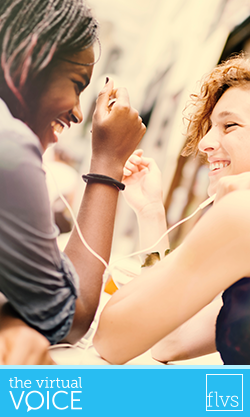 It is also an opportunity to make new friends and step outside of your comfort zone. Writing exercises and prompts provided by Creative Writing Club are great resources to remain inspired and NEHS-sponsored tutoring is an awesome way to share your love of reading and writing with younger students. Writing articles for News in a Click is helpful practice for academic writing. These clubs are also great ways to get honest and constructive feedback on your writing. In our monthly Open Mics at National English Honor Society meetings, I am always incredibly inspired by the amount of positive feedback that our members provide writers and oftentimes this encouragement is what causes writers to continue submitting pieces. Over the past two years, I have had the priceless opportunity to watch writers grow and learn from the feedback and encouragement of fellow club members. At the close of my senior year, I can say that my time with Florida Virtual clubs has truly made my high school experience. The inspiration, encouragement and collaboration that comes from working with other students that are similarly passionate about literacy is something that I will truly miss. 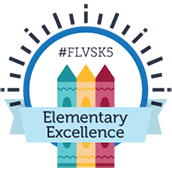 I deeply encourage all of you to get plugged in to the FLVS community through clubs that align with your interests, as my experiences as a member of these clubs has greatly contributed to my growth as a writer, a learner, a student and a human being. 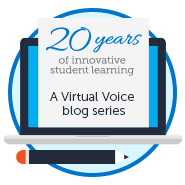 Has an FLVS club influenced your writing? Let me know in the comments below! This entry was posted in Full Time Edition, Homeschool Edition, Student Edition and tagged Celebrate Literacy, Clubs, Collaboration, creative writing, Creative Writing Club, English, Events, Extracurricular Activities, Extracurriculars, FLVS Clubs, Friendship, Get Involved, Literacy, National English Honor Society, NEHS, News in a Click, Online School Activities, Online School Community, Poetry, Student Activities, Writing on May 19, 2017 by Guest Blogger.